1 more down plenty more to go! Well what a wonderful week we just had. 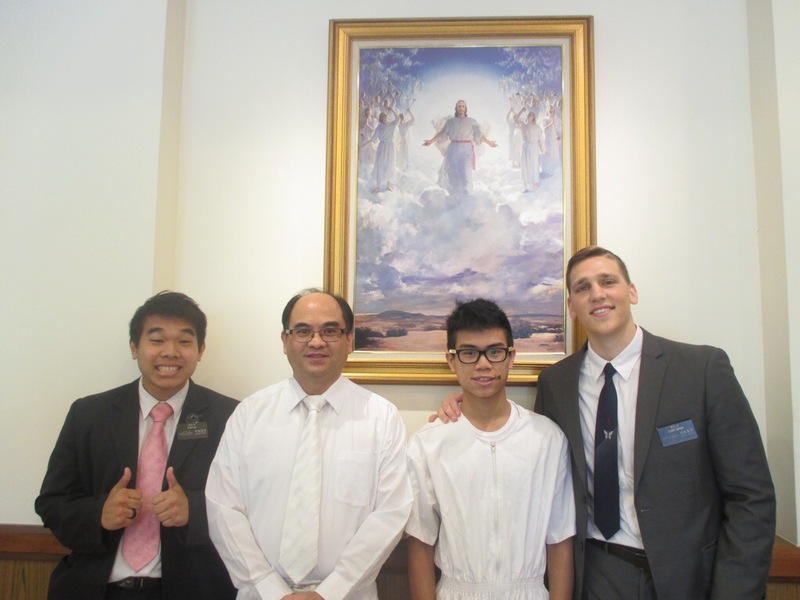 We worked really hard to help Aaron be ready for his baptism and the rest of his life. 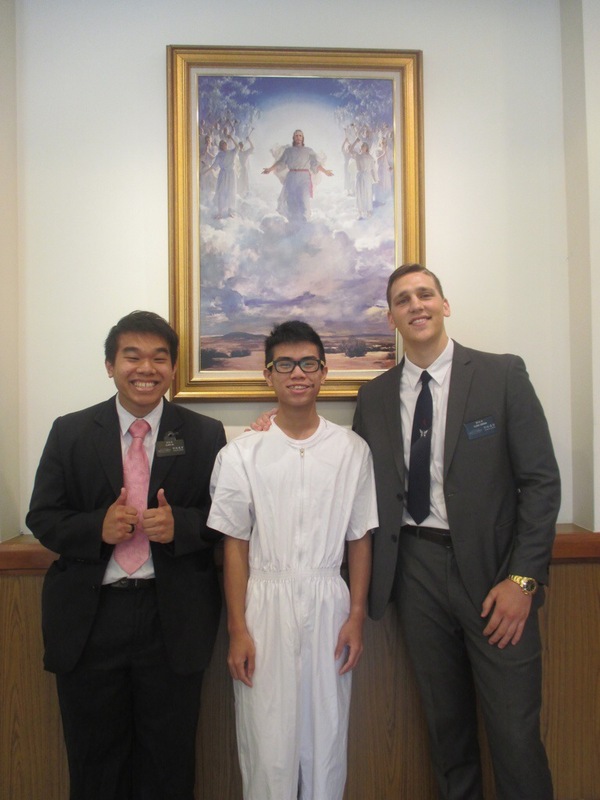 His baptism was a success! After he was baptized he actually spoke and it was really good. He has an amazing testimony and you can tell he is on the road to conversion as all good members are. Teaching him this last week has really taught me a lot of lessons as we were focusing on the holy ghost and receiving personal revelation. I can look back at my life and realize how much stronger my connection with the spirit is now than at any time previously. Were also able to see Mike twice this week. We taught him half of the plan of salvation on Wednesday and after he was so excited to learn more he was scheduling the next lesson himself. So we taught him again on Friday after English class. I am so blessed to have the opportunity to teach him the lord has been here for us. Every time we get someone close to baptism I ask the lord whose next and he always has another person ready. A couple in our ward also had the idea to feed the young men and two of our investigators who are in their friend group and that went so well. Its becoming the cool thing to be part of church for them. We were also able to meet another one of their friends and get a 3rd investigator. 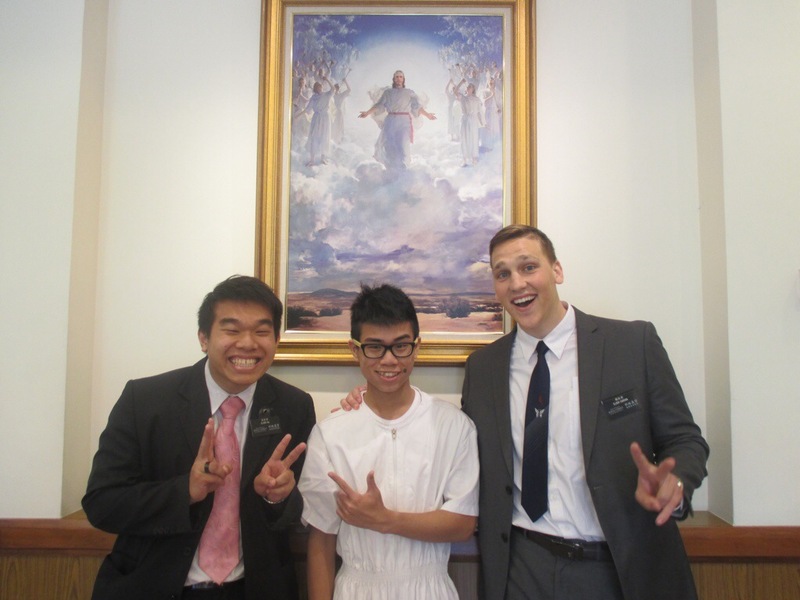 It really awesome to see the young men getting in the excitement of missionary and having success doing it. We just teach the all together on Saturdays then play a little basketball. Sadly they were not able to attend church but they will be there next week. Sister Lau and Sister Syu are doing awesome they are really excited to continue to hear more. We have found out more about there families and are really pushing to meet there husbands this next week, we realize the only way to feel the fullness of this gospel is to have the full family involved, so that is our focus this week. With them living in mainland the best way for retention is to get them all. Well it was an amazing week and I can see that the Lord will continue to progress his work I am so grateful to take part in the Hong Kong peak service to be able to hear about all the sacrifice made by the Chinese people in building the gospel. This is a blessed to be serving. Causeway Bay!! !… that’s my ward! Well one more week down! This was great minus the water heater, for the shower, being broken… But hey I had a lot faster showers which gave me more time to get ready in the morning! Things have really been picking up. We have a baptismal date with another shortly on the way and some others with potential. Its been a fight in this area but I feel like it has really been picking up nicely! There is a really cool thing that our mission does! Its called My Conversion Story Fireside. Its when all the missionaries who are going home at the end of each transfer pick one of their recent converts who tell their conversion story! It was a great tool we used for our investigator who was trying to receive a witness and was wondering how it might come! We also had a huge meeting with all the ward and stake leaders in the surrounding area about how the members and the missionaries can work together better. It was really good for both of us. We have been able to see the the success of one ward with less actives. The secret is really with the members on less actives we missionaries may have got them there but they will only stay if the ward will make an effort. Less actives are a huge problem here. One ward took the initiative with the members and they have about 20 LA’s at church a week and that’s a constant number even with them becoming and staying active again. I also learned a great deal of importance about commandments. Never be scared of the commandments this church has, their no better way to know if Joseph Smith was a prophet then to partake of his fruits, like the Book of Mormon, or the word of wisdom. If you follow the words of wisdom and you receive one of the specific promised blessing of that commandment then there is a witness that Joseph Smith was a prophet. We used this with our investigator and it went great! Also at the End of the Month Elder Holland will be coming so that should be awesome!